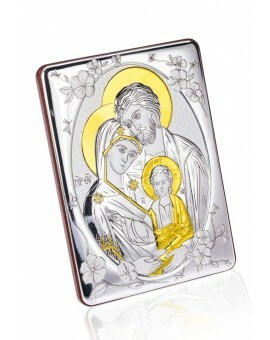 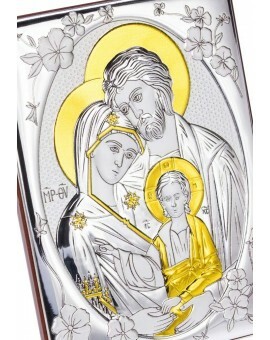 Byzantine Icons There are 18 products. 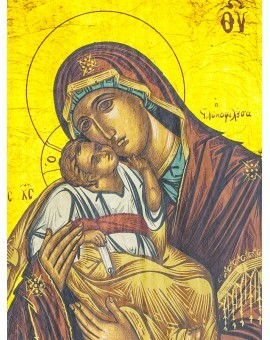 High quality Icon hand painted in blue and gold colors. 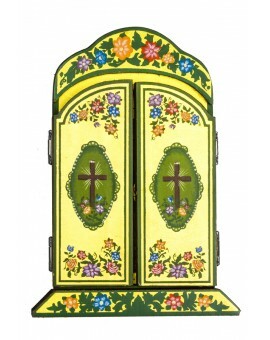 It comes in a velvet case. 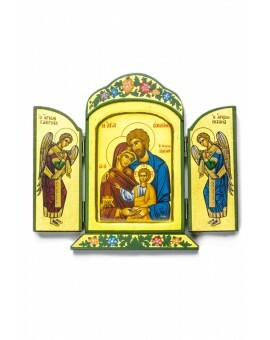 Triptych with the Holy Family in the center and two Angels on each side. 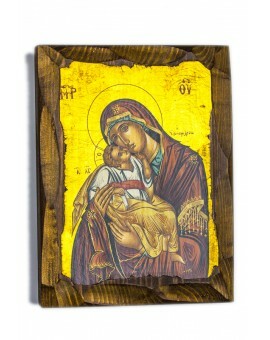 This Byzantine Icon is painted on a solid wood base. 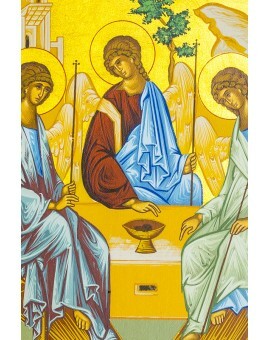 The translation of Pantocrator is "Almighty" or "All-powerful". 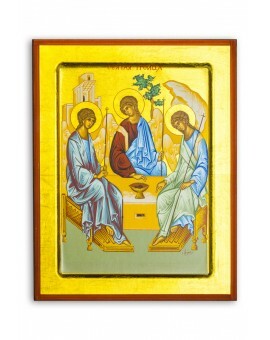 The iconic image of Christ Pantocrator was one of the first images of Christ developed in the Early Christian Church. 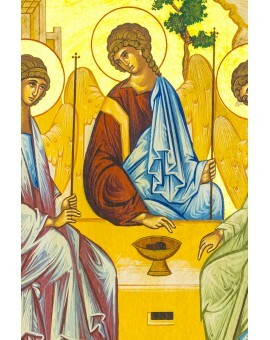 In the image, Christ holds the New Testament in his left hand and makes the gesture of teaching or of blessing with his right. 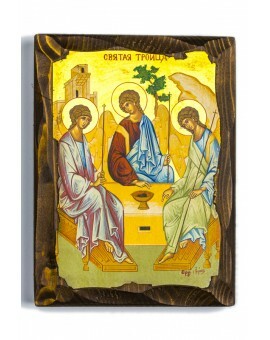 This Crucifix Icon is painted on a solid wood base.